In 1986, while Steve Jobs was creating a new workstation computer at NeXT and Dr. Leonard Bailey was pioneering infant heart transplants at Loma Linda University Medical Center, Brenda L. Carter was on the cusp of a new adventure: computer mapping. Today Carter is the GIS manager for the Planning and Development Services Department in Richland County, South Carolina, where she recently worked on an innovative green infrastructure project. Read the article. 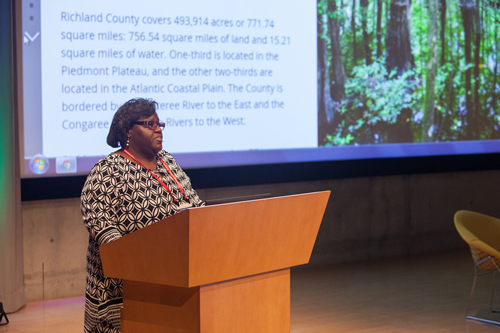 Brenda L. Carter explains the role GIS played in devising a green infrastructure plan for Richland County. When you create a web map for your Esri Story Maps app, a scale bar is not automatically included. But if your story map warrants one, there are two options available to create a map with a scale bar. Esri technology evangelist Bern Szukalski shows you how. Read the tip. Why wait until the next Esri Developer Summit to learn how to use Esri technology to build geospatial apps? Here are six easy ways to fast-track your app development with ArcGIS while networking and collaborating with fellow developers. Read the article. The Arizona State Cartographer's Office has launched AZGEO—Open Data, creating a one-stop shop for open data from the State of Arizona, participating municipalities, and other authoritative sources. Read the article and visit AZGEO—Open Data. Making and using Esri Story Maps apps can help students develop their spatial-thinking skills. Esri education manager Joseph Kerski came up with 20 questions, based on a story map about the fateful Titanic voyage, that will get minds thinking spatially. Read his blog. Travis Hardy and Noah Goodman, from Ardent Management Consulting, demonstrate how Esri ArcGIS can be used for real-time operational awareness. They gave a presentation at the 2017 Esri Federal GIS Conference. Watch the video. The US Forest Service Visitor Map 2.0, built using the Esri ArcGIS platform, lets people find places in the nation's national forests to bike, hike, picnic, fish, and view nature. Read the blog. Check out the app. Compare change on earth over time using the new Landsat Explorer web app, powered by Esri technology. The app includes tools that let you do things such as compute changes between two dates and add your own data to the map from ArcGIS Online. Read the blog. Try out the app. If Your Map Could Tell a Story, What Would It Say? 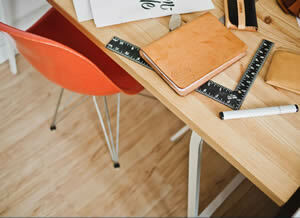 Get your creative mapping juices flowing. Submit up to three story maps in the Esri Storytelling with Maps contest by May 30, 2017. Grand prize: A drone and a one-year license of Drone2Map for ArcGIS for one person. Enter today. Color is a powerful tool because it helps create clarity for the message in your maps, says Esri product engineer Lisa Berry. Let her walk you through the process of how to select an appropriate basemap for your topic and then see which colors would work best for your map in ArcGIS Online and ArcGIS Enterprise. Read Berry's tips. Real-time data from Internet of Things (IoT) devices can be analyzed using ArcGIS GeoEvent Server from Esri. Esri staff demonstrates how this works. Watch the tech session. What Secrets Does Your Data Hold? Insights for ArcGIS knows, so it's time to start learning how to use the new browser-based app. Register for the online course Get Started with Insights for ArcGIS. Sign up today. Watch the history of hot air ballooning take flight in Andrew Skinner's Esri Story Maps app, Gas & Hot Air: The First Balloons and the Start of the Aviation Age. View the story map. In this Learn ArcGIS lesson, you will use ArcGIS Maps for Office to analyze and map data that will reveal where an upscale salon should focus efforts on finding new customers. Take the lesson. Esri offers Cutting Edge servers preinstalled with ArcGIS Enterprise software and database servers with Microsoft SQL. You can use a packaged solution like this to complement or upgrade your GIS infrastructure. Order today. With drones providing a popular way to collect high-resolution imagery, it's a good time to sign up for a web course on how to start using Drone2Map for ArcGIS from Esri. The Drone2Map for ArcGIS app turns raw still imagery captured by drones into professional 2D and 3D imagery products. Register now. Jim DePasquale, of The Nature Conservancy, created a beautiful map that shows 27,000 miles of previously unmapped streams in Alaska's Matanuska-Susitna (Mat-Su) Basin. Government organizations will use the map to tackle issues related to water quality, zoning and development, and conservation planning. Read the blog and see the map.